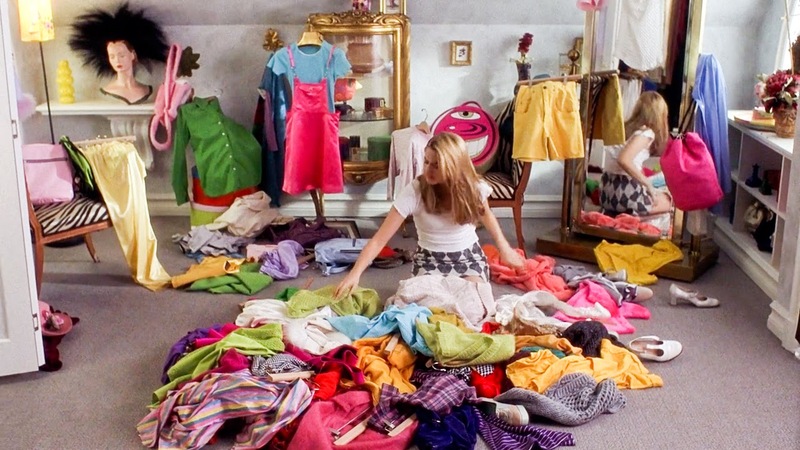 17 Signs That You Have Too Many Clothes! Are you also one of those whose wardrobe is overflowing with clothes, but you would rather die than admit that you have too many clothes? Well I certainly am one of those girls. Are you too? Here are the signs telling you that you are! 1. When there is a party invitation, you go into the panic mode because you want to look your best and obviously you don’t have any clothes for that so obviously more reasons to shop! 2. You dream of having a walk in the wardrobe all the time. You want your clothes to be displayed in a large room filled with artificial lights and storage space for obvious reasons. You have too many clothes! 3. This is the third time in a year that you had to buy new hangers for your clothes and each one of your old hangers have at least 2 different clothing pieces hanging onto them. 4. When you finally feel generous enough to donate them, you take out at least 3-4 bags of extra clothes and it seems your wardrobe is still full! 5. You always have a pile of clothes lying around on your bed or sofa. 6. You never return or exchange your clothes. That tee that you bought the other day is still hanging in your closet. Well obviously you think that you might need it someday. 7. You still have those jeans when you were 5 kgs lighter because you think you will miraculously lose weight one day and will be able to fit into them. 8. Summer has just gone by and you are still shopping for those sundresses because you may be too busy to shop next year. So why not hoard as many clothes as you can so that you can forget about them the next year and you can buy some more! 9. You wardrobe is overflowing with clothes; you can’t even fully close your drawers anymore but you somehow always manage to squeeze in your new purchases. 10. No matter how many clothes you have, you sometimes genuine feel that you don’t have enough clothes. 11. Online shopping is your favourite past time. You don’t shop because there is a reason; you shop because you don’t need a reason to buy new clothes. 12. For you, shopping is like therapy. Your exams got over, you shop. You got a new job, you shop. You got a promotion, you shop. You shop all the time. It is your ultimate hobby. 13. You own at least 6 pairs of blue jeans and you wear only 2. Rest are there for the company right? 14. Your friends borrow your clothes all the time. You have clothes in every possible colour and a few different sizes. After all where would they get so many varieties of fashionable clothes under one roof? 15. You have your favourite stores and the sales person there knows you by your first name. 16. You live for the Sale season. You wait for it more than your birthday. You take great pride in showing off about your bargain purchases and you go broke every season, but this is still your favourite time. 17. Your inbox is stuffed with promotional emails and offers from your favourite retailers. god! i dont want to admit but so many points hold true for me. lollll!!! 😛 Fun post!